In September 2013, researchers from the Rhodes Project attended the 110th Rhodes Anniversary in Oxford. Through our attendance at sessions and dinners, our participation in the official Program, our donation of an original part piece to Rhodes House, our collaboration with Said Business School, and our base at Linacre College, we had the opportunity to meet with dozens of Scholars. Dr Ann Olivarius, founder of the Rhodes Project, appeared on the panel entitled Rhodes Women: Success alongside former Labour MP Dame Shirley Williams, Australian human-rights lawyer Jennifer Robinson, and Michele Warman, General Counsel of The Andrew W. Mellon Foundation. The session was extremely well attended, and a lively discussion followed the formal presentations. 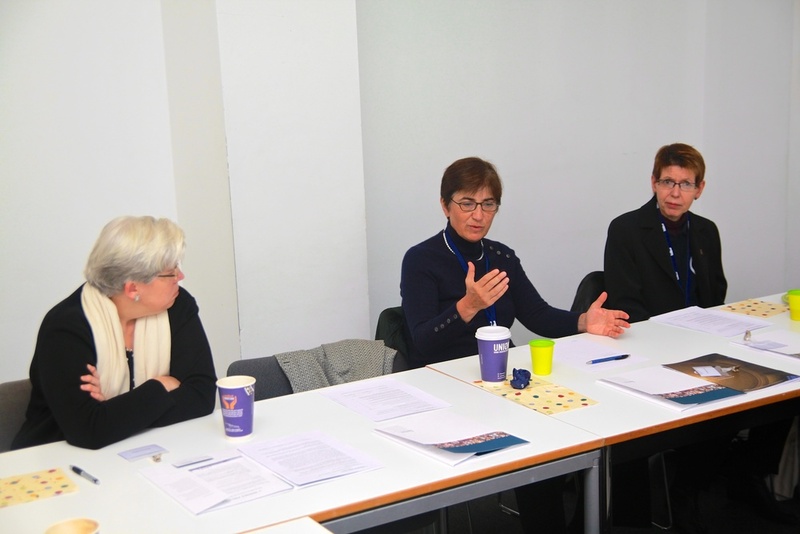 The speech given by Ann Olivarius at the panel is available here. Panelists Karen Stevenson, Dame Shirley Williams, Ann Olivarius, Jennifer Robinson, Michele Warman. Photographed by Honza Cervenka. Karen Stevenson and Ann Olivarius. Photographed by Honza Cervenka. Dame Stephanie Shirley, Ann Olivarius, Jennifer Robinson. Photographed by Honza Cervenka. Ann Olivarius. Photographed by Honza Cervenka. Ann Olivarius and Jennifer Robinson. Photographed by Honza Cervenka. 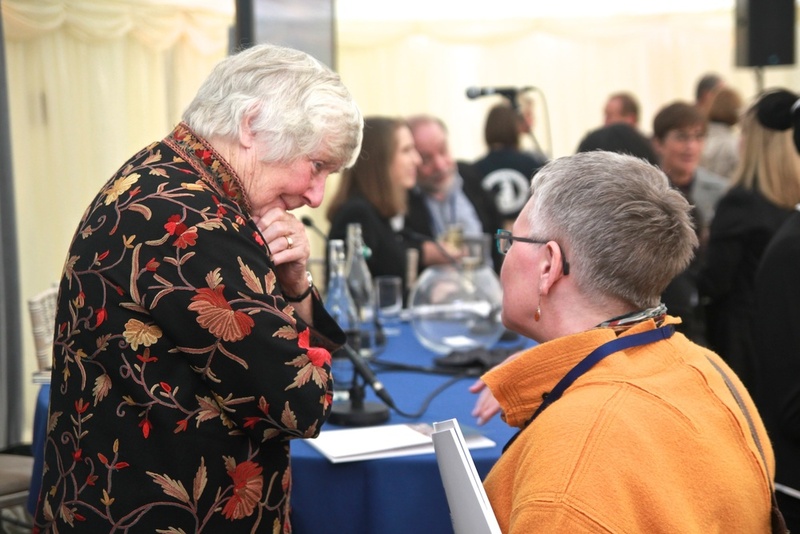 Dame Shirley Williams and Rhodes Project Director Susan Rudy. Photographed by Honza Cervenka. Dame Shirley Williams, Ann Olivarius, Jennifer Robinson and Michele Warman. Photographed by Honza Cervenka. Scholars at the panel. Courtesy of Rhodes House. Dr Kate Blackmon (far left), Karen Stevenson and Rhodes Project staff Zoe Johannes and Emefa Agawu, Courtesy of Rhodes House. Danielle Fontaine, Mary Murphy and Ramona Doyle. Photographed by Honza Cervenka. Dr Ramona Doyle. Photographed by Honza Cervenka. Mary Murphy. Photographed by Honza Cervenka. 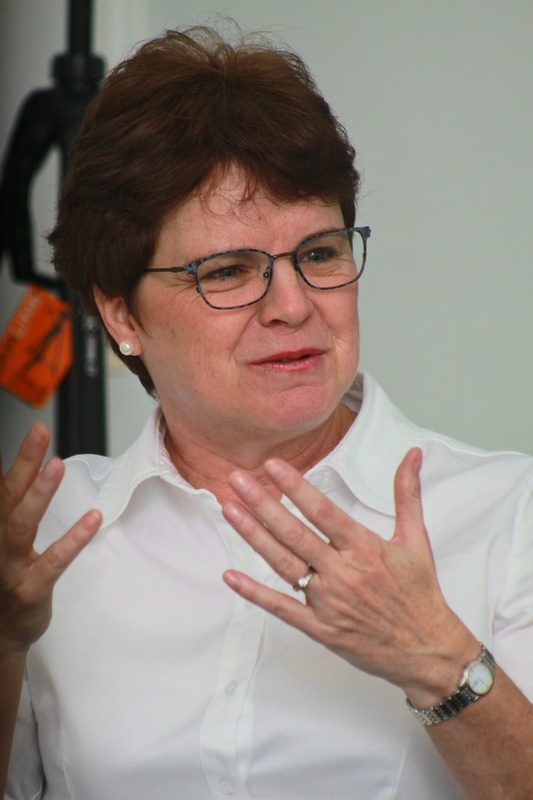 Professor Susan Rudy. Photographed by Honza Cervenka. Barbara Grewe, Susan Karamanian and Charalee Graydon. Photographed by Honza Cervenka. Danielle Fontaine. Photographed by Honza Cervenka. 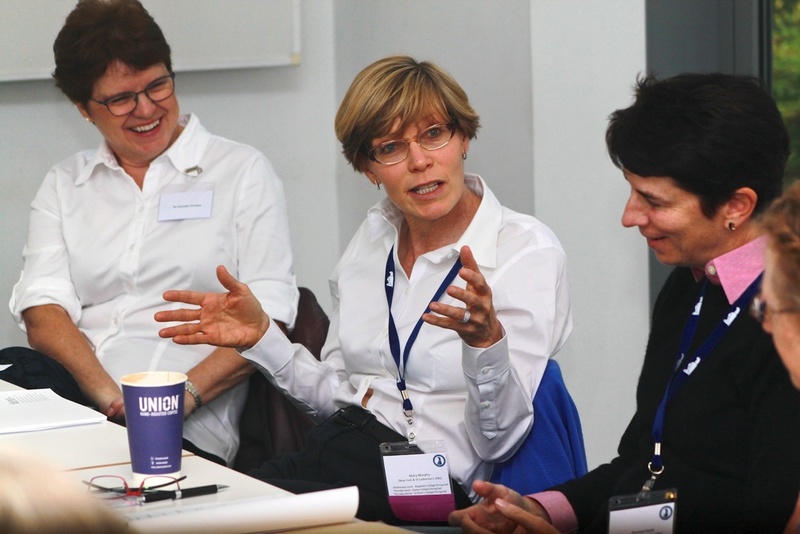 Professor Susan Rudy, Director of the Rhodes Project, and Dr Kate Blackmon, University Lecturer at Saïd Business School, organised a focus group on the Gender Gap in Leadership with women Rhodes Scholars elected 1977-1982. Seven Scholars attended the focus group, which was videotaped for the Rhodes Project archive. A transcription of the Scholars' conversation will also be deposited in the archive and provide additional data for Dr Blackmon and Professor Rudy as they prepare their forthcoming book Leading Women: Rhodes Scholars and the Gender Gap in Leadership for Oxford University Press. Our thanks to Ramona Doyle, Danielle Fontaine and her two daughters Marie Martelly and Renee McLendon, Charalee Graydon, Barbara Grewe, Annie Haight, Susan Karamanian, and Mary Murphy for taking the time to meet with us. An original art piece entitled THEREISNOTACLEARBRIGHTLINE by London-based, French-Norwegian artist Caroline Bergvall was installed at Rhodes House for the duration of the 110th Rhodes Reunion, and has since been accepted into the Rhodes House permanent collection. The piece was commissioned by two Rhodes Scholars - Ann Olivarius, Chair, McAllister Olivarius and Founder, the Rhodes Project, and Dominic Barton, Managing Director, McKinsey & Co., and Chair, Governance Committee, the Rhodes Trust. Based on data collected by the Rhodes Project, the limited edition art piece celebrates the 1140 women who have held Rhodes Scholarships since 1977. Caroline Bergvall was the 2012 Judith E. Wilson Fellow in Poetry at the University of Cambridge. Her work has been featured in galleries across North America and Europe including New York's Museum of Modern Art and London's Tate Modern.